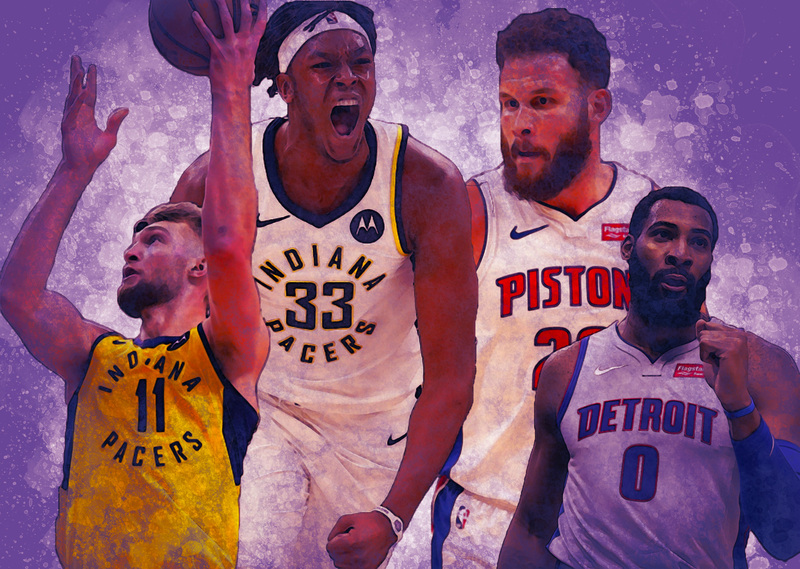 On what Indiana’s starting backcourt being sidelined means for the fit of the playing rotation — specifically with regard to Tyreke Evans. 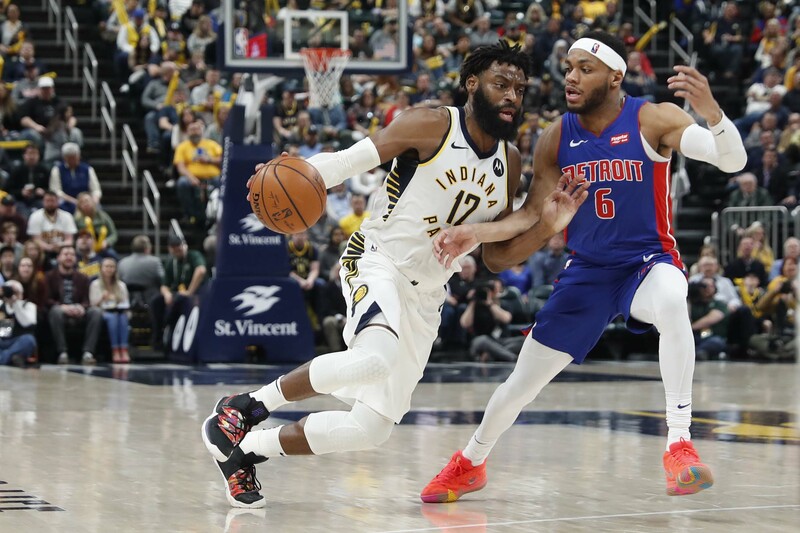 A strong bench performance helped bring Indiana back into a game against Detroit, pushing them to a big late season win. 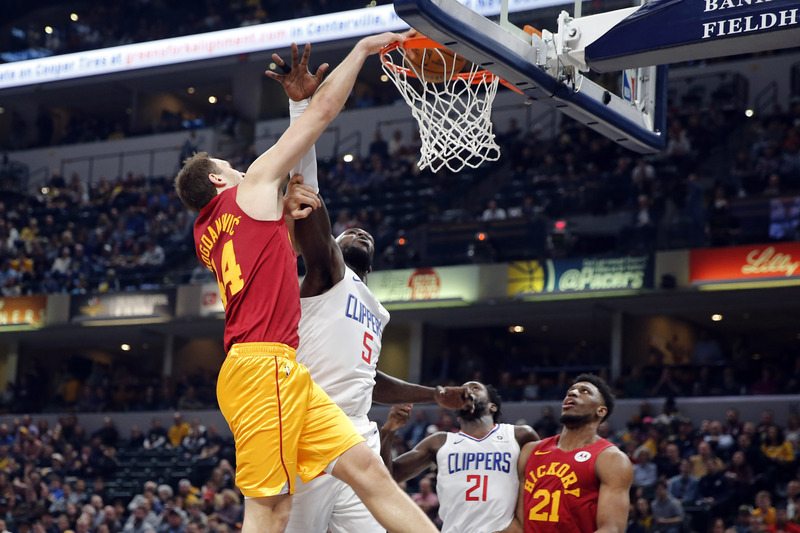 Bojan Bogdanovic and Thaddeus Young led the Pacers with 19 points each. 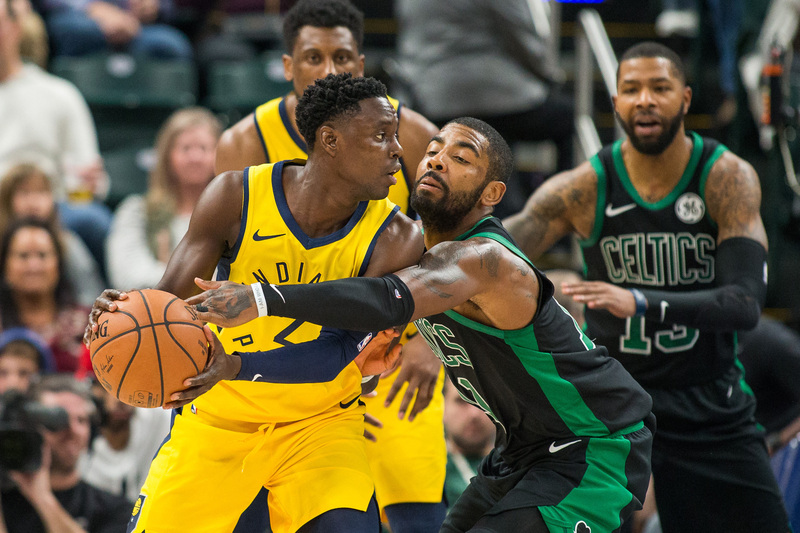 The Pacers are back in action at the Fieldhouse, hosting the Pistons on Monday while trying to keep pace with the Celtics in the Eastern Conference standings. Seeding is on the line for both teams when they play each other twice in three days. 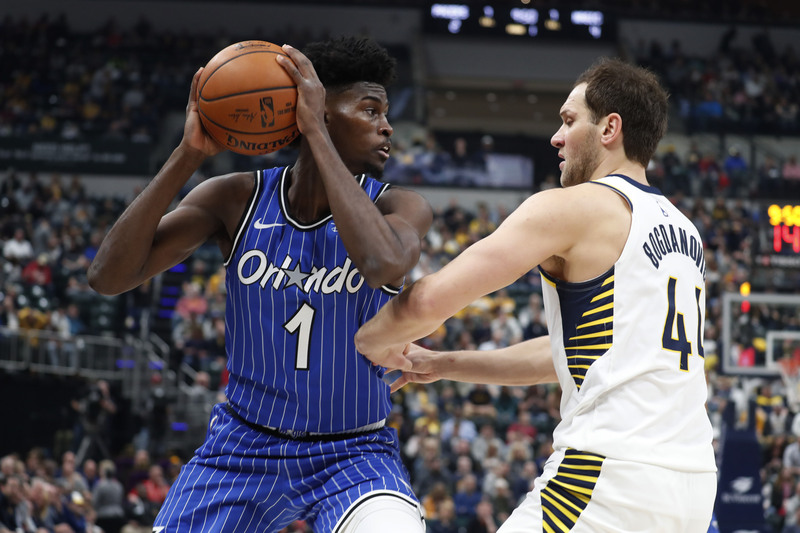 Indiana suffered their third straight fourth quarter loss to Orlando, keeping them firmly planted in the fifth seed. Darren Collison led the way for the Pacers with 24 points. 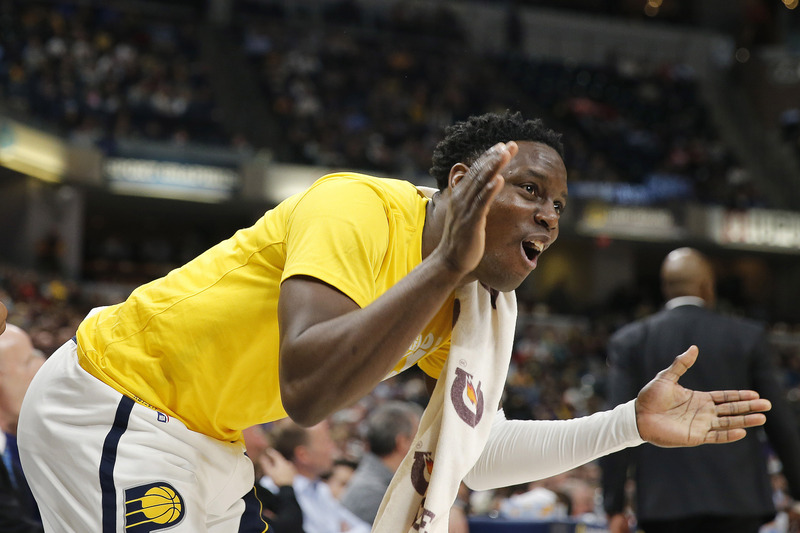 Once again, the Pacers look to bounce back at home after a frustrating road loss. 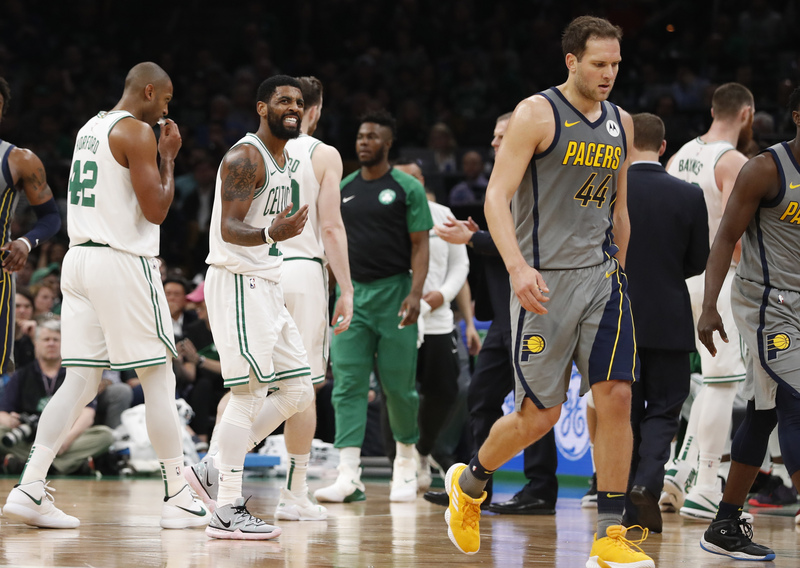 Indiana fell 114-112 to Boston on a Kyrie Irving game winning layup, surrendering home court for the time being in a looming playoff series. 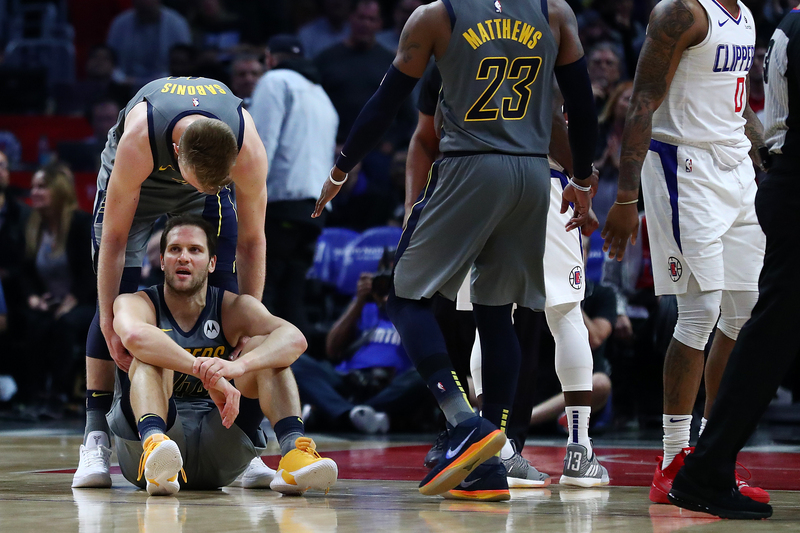 Bojan Bogdanovic had 27 for the Pacers. 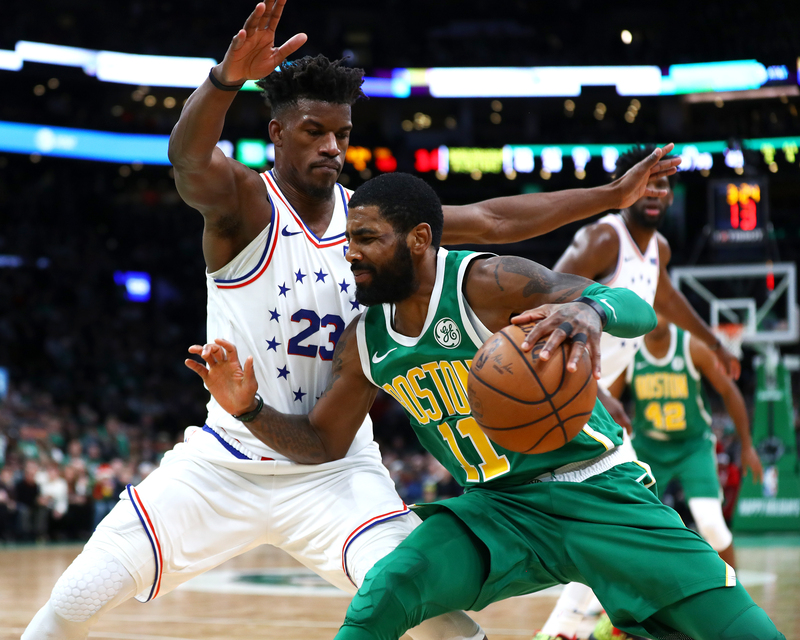 Indiana’s all effort finish came up short as Kyrie Irving put Boston on top with 0.5 seconds left. 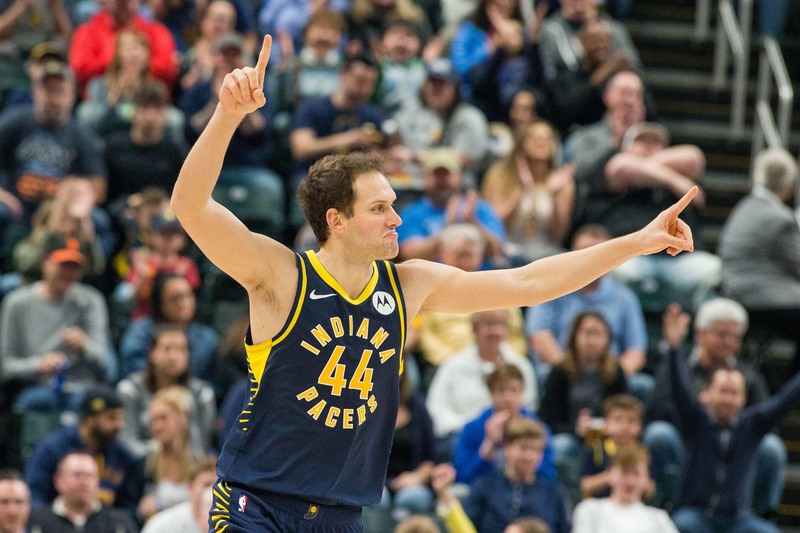 Bojan Bogdanovic scored 27 for the Pacers. 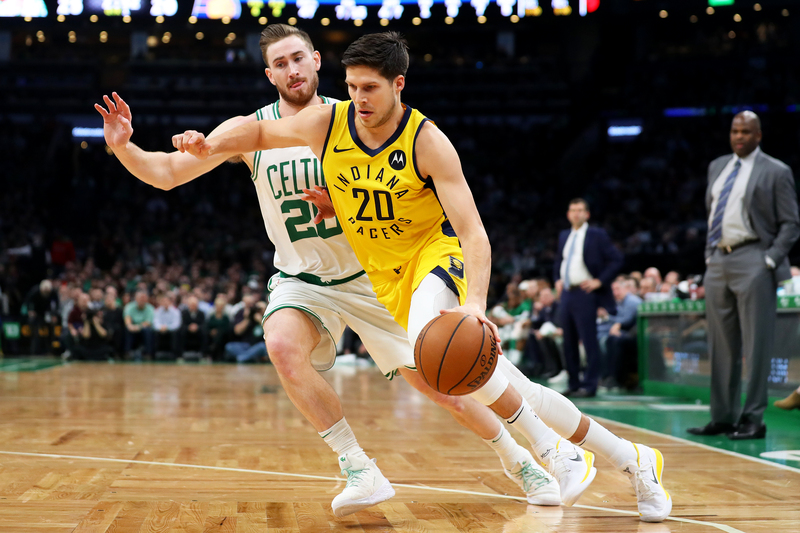 The Pacers and Celtics meet for the first of two key games remaining in their battle for home-court in the first round of the playoffs. 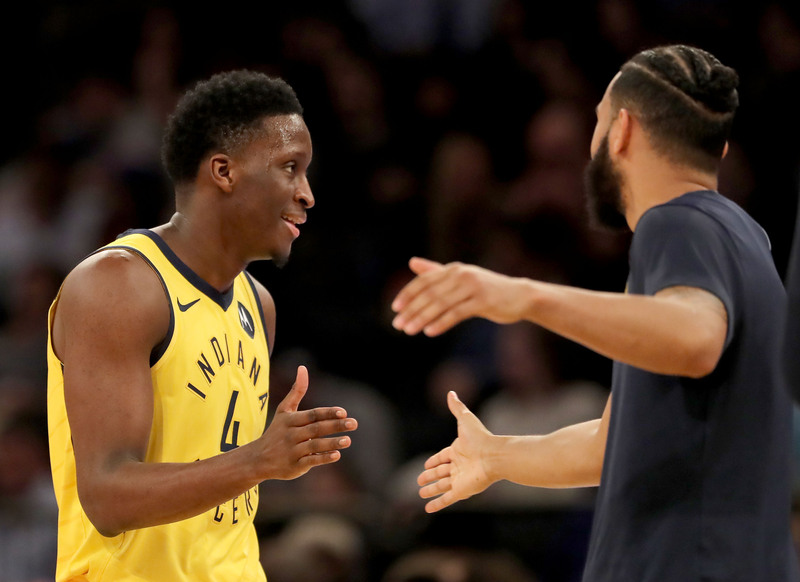 The Pacers star continues to share positive updates on he recovery from knee surgery. 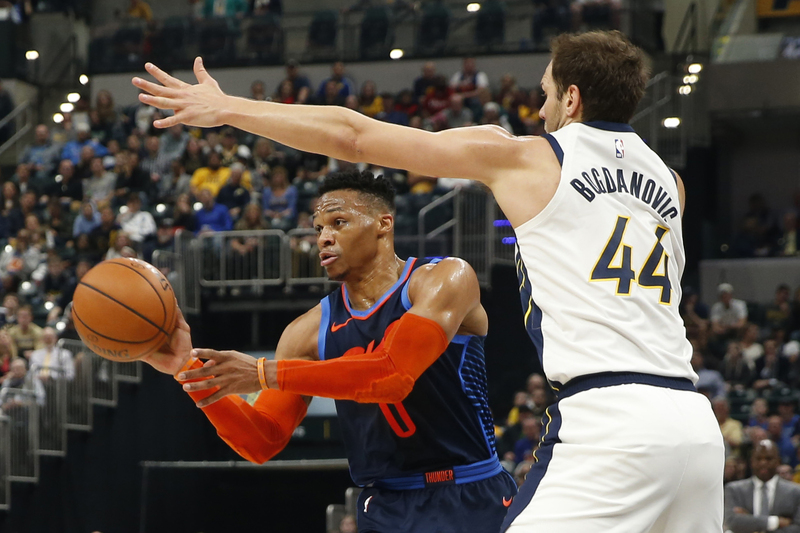 Indiana surrendered a 24-0 run in the third quarter to Oklahoma City, turning a double figure lead into a double figure deficit, sending them to their ninth straight road loss. Bojan Bogdanovic scored 28 points. 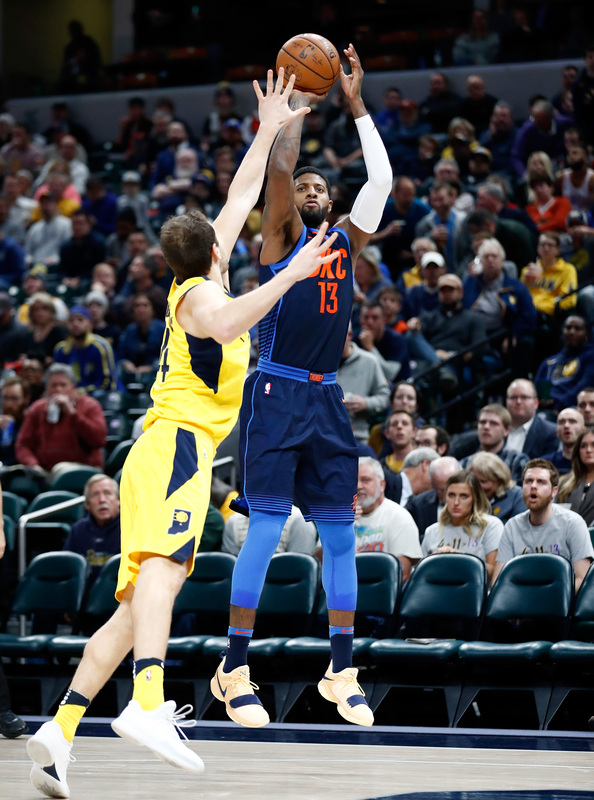 The Pacers and Thunder wrap up their season series while trying to set themselves up for the playoffs. 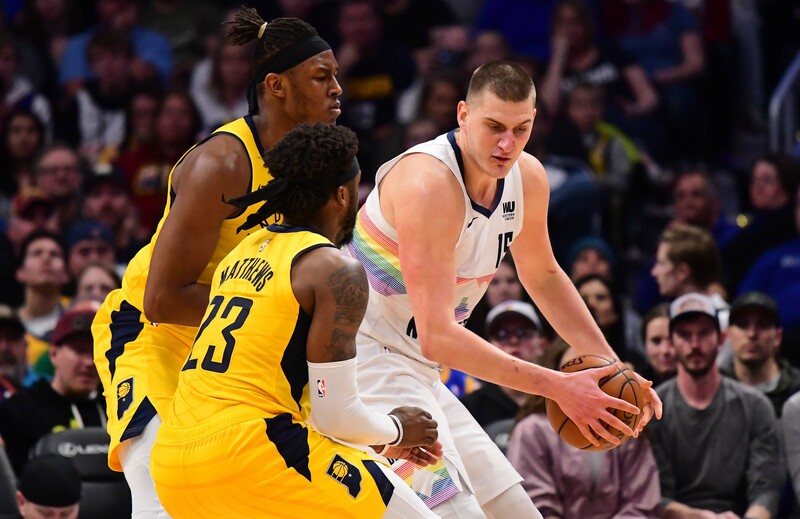 Indiana snapped a four game losing streak with a dominating performance over Denver, shooting 56% for the game and getting a 35-point effort from Bojan Bogdanovic. Myles Turner had 17. The Pacers return home after an 0-4 road trip, looking to get better against the top team in the Western Conference. It isn’t too little too late, but it’s late. 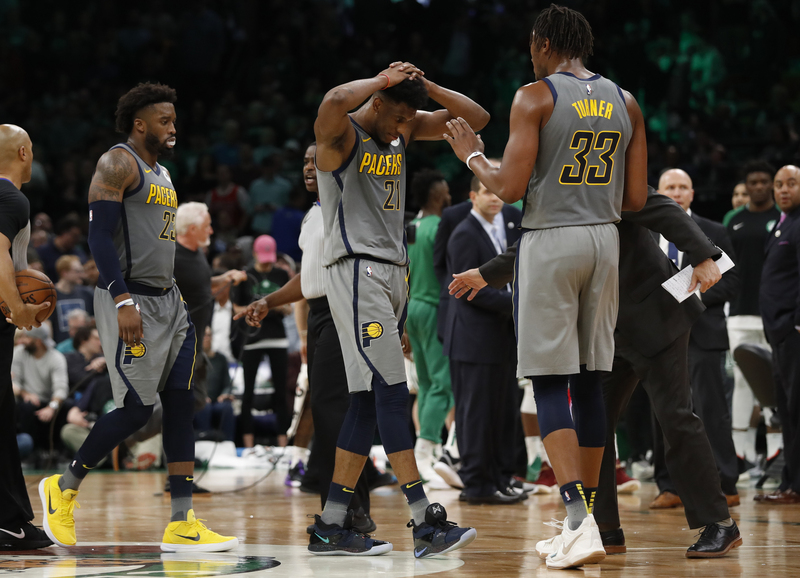 The Pacers struggled early to make shots before running out of energy to hang around with the defending champs. 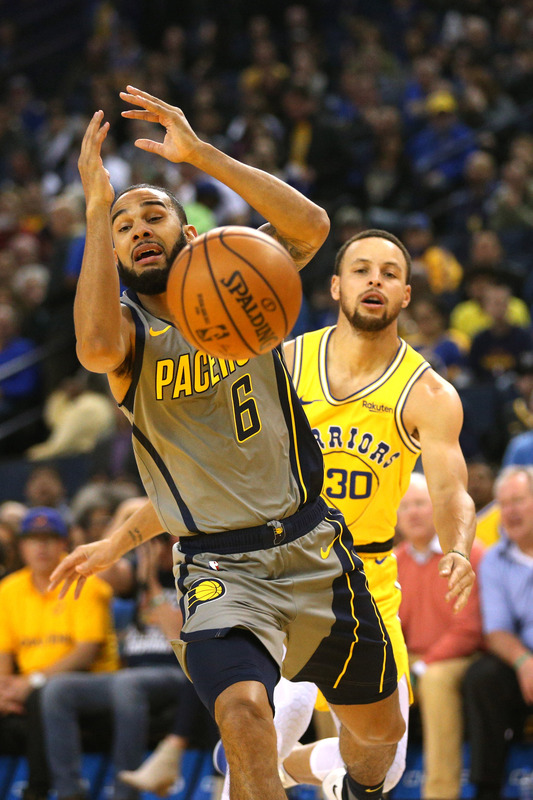 The Pacers are looking for wins in all the wrong places as they wrap up their roadie against the Warriors on Thursday night. 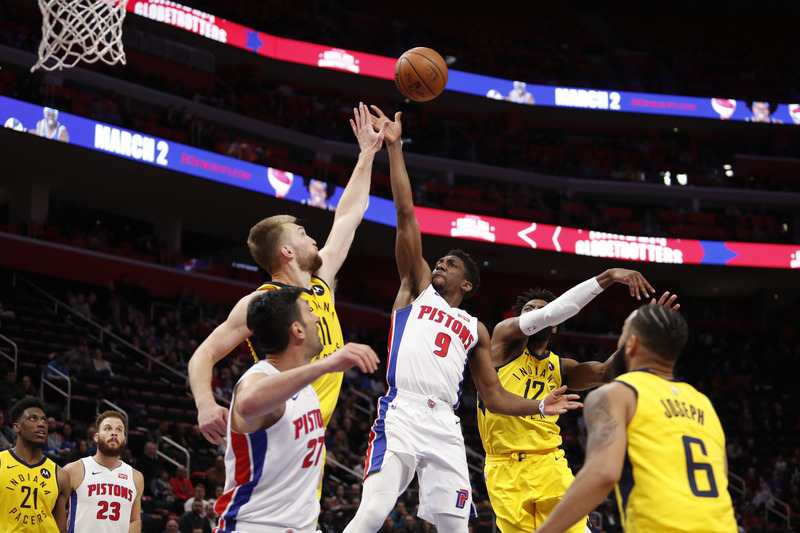 A late comeback attempt fell short for a third straight night for Indiana, dropping them to 0-3 on their West Coast trip. 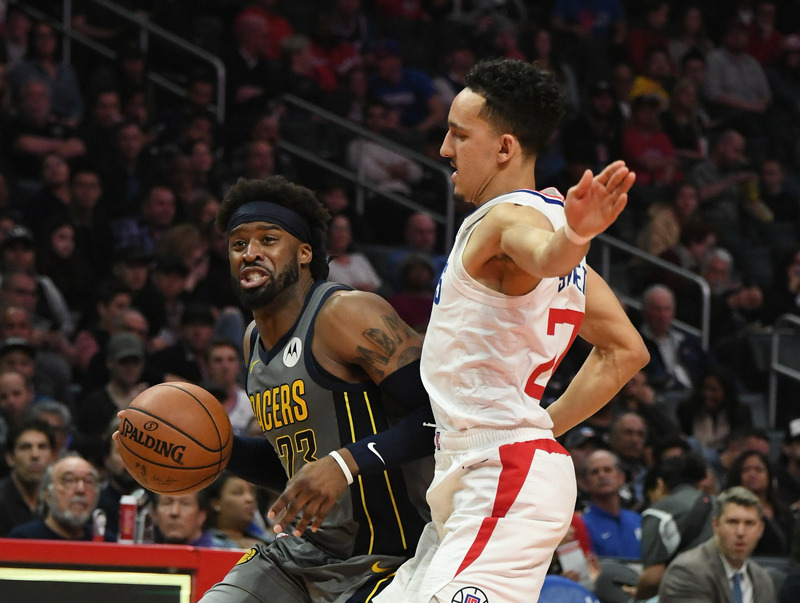 The Pacers face a quick turnaround to play the Clippers after traveling to L.A. following their game in Portland last night. 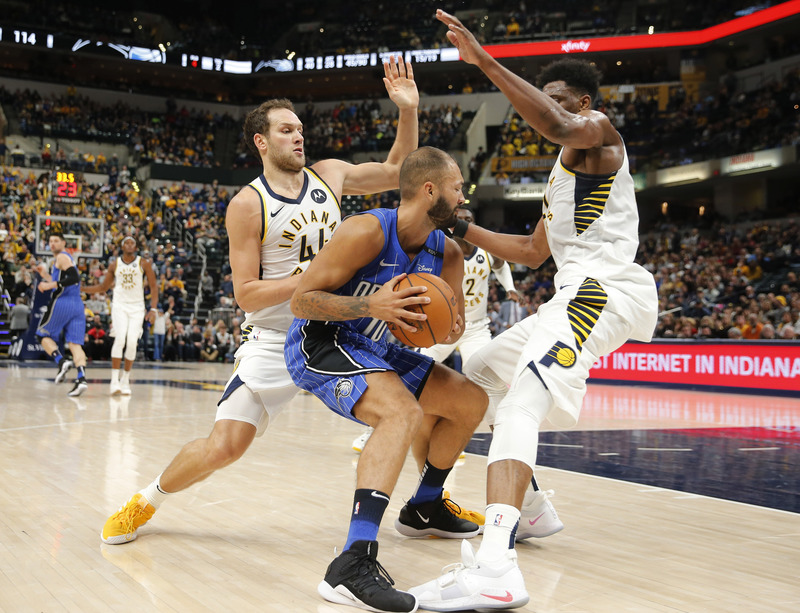 The Pacers failed to finish a strong start on the road once again. 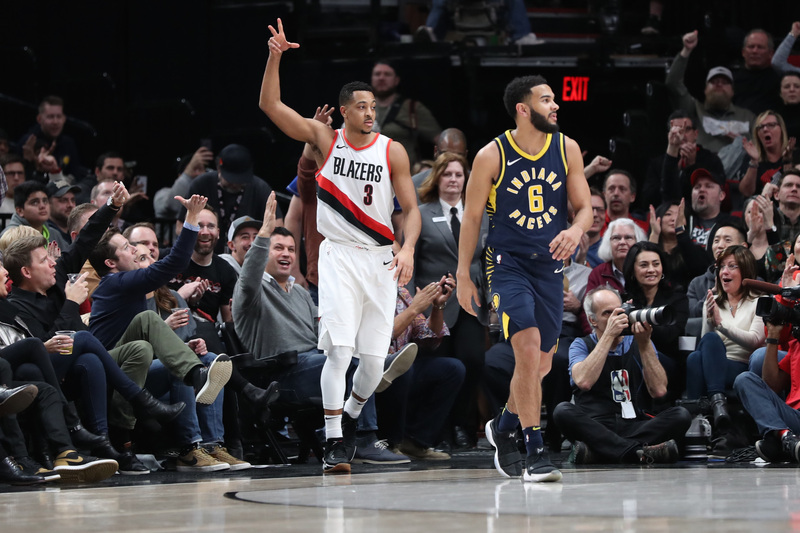 The Pacers continue their Western Conference roadie in Portland on Monday night. 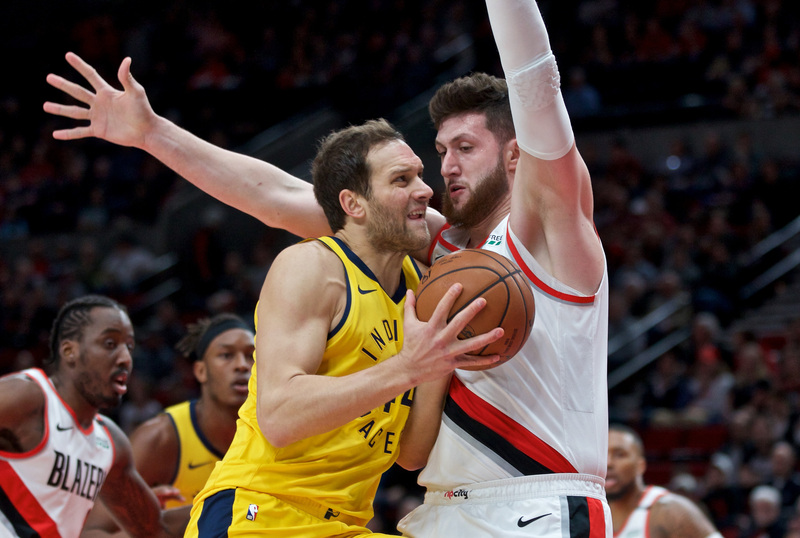 The Pacers catch the Blazers trying to adjust to playing without C.J. McCollum. 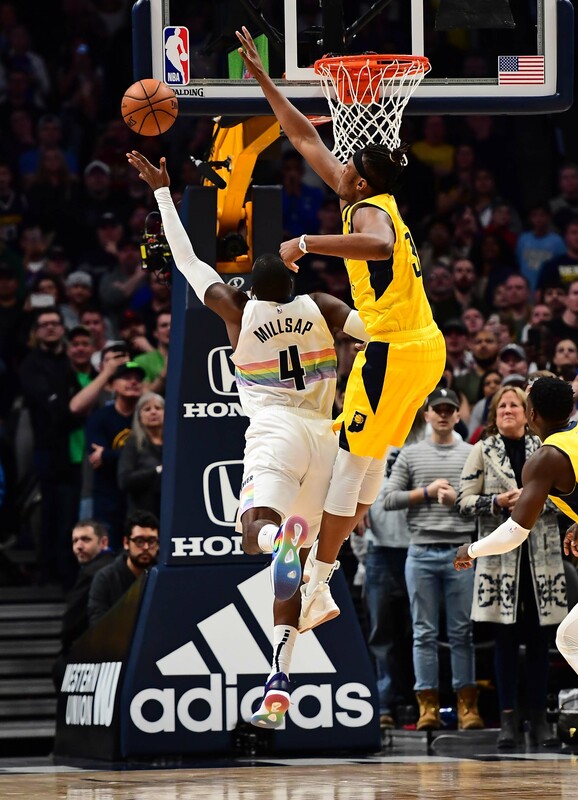 Indiana fell 102-100 to Denver on a Paul Millsap game winning layup, highlighting a ton of missed shots and missed free throws in the second half. 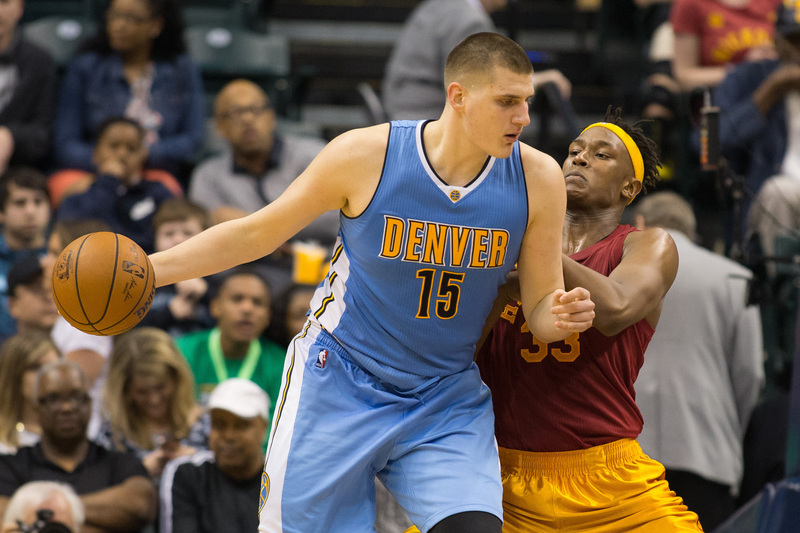 The Pacers begin a brutal roadie in Denver on Saturday night. 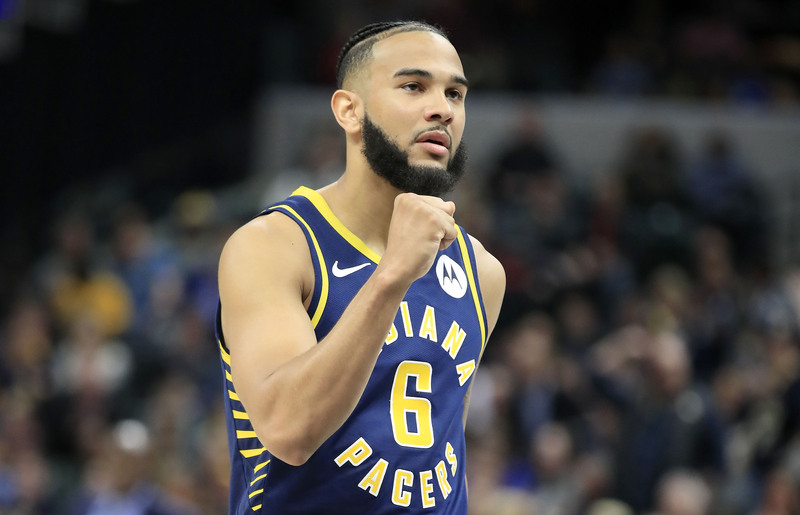 Another reason why you should stan Indiana’s 28-year-old reserve point guard. 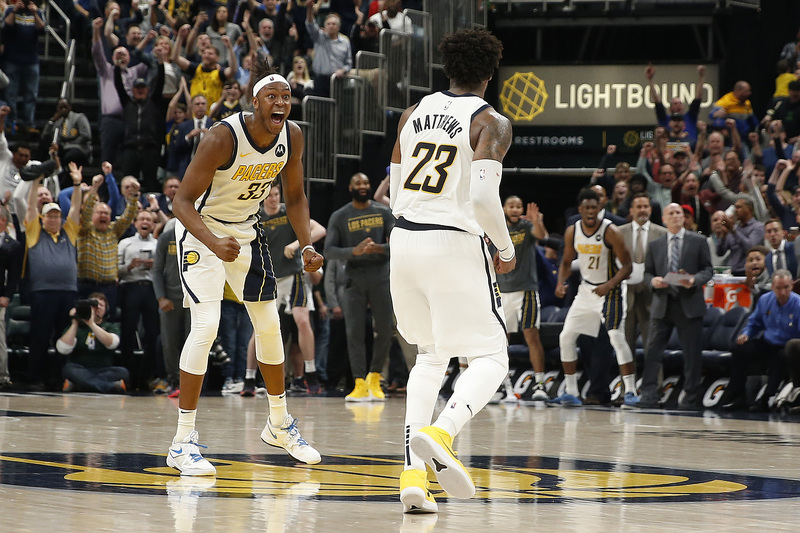 The Pacers comeback win over the Thunder made for the best night at the Fieldhouse this season. Indiana erased an 11-point Oklahoma City lead in the final six minutes to stun the Thunder. 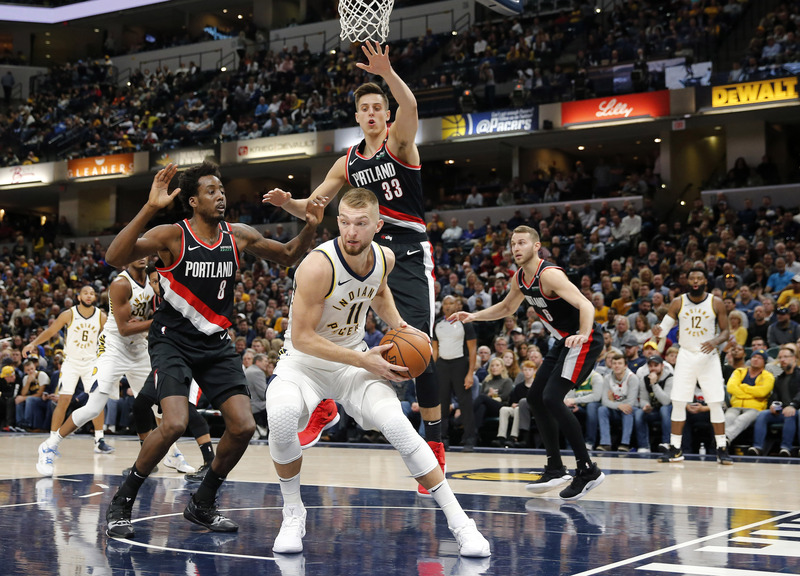 Wesley Matthews had the game-winning putback while Domantas Sabonis led the team with 26 points. 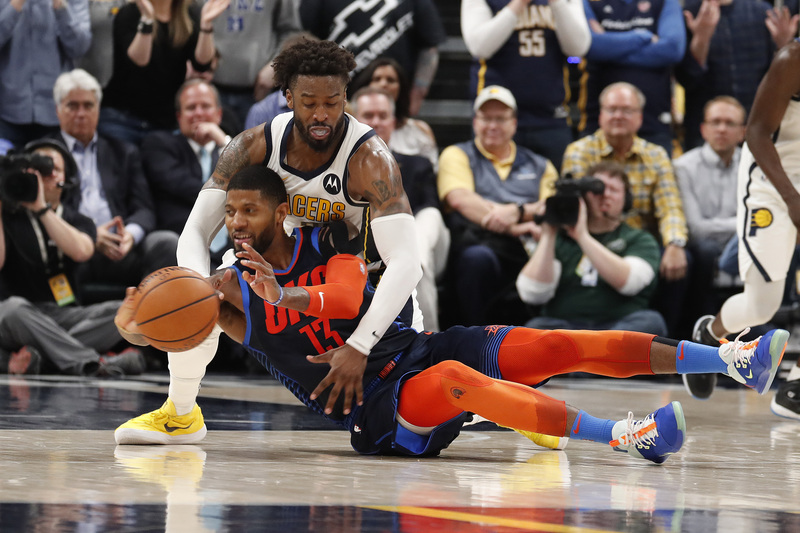 Wesley Matthews put Indiana over the top on defense and on offense in the fourth quarter, forcing a key turnover and scoring a game-winning tip in to push Indiana to a win over Oklahoma City. 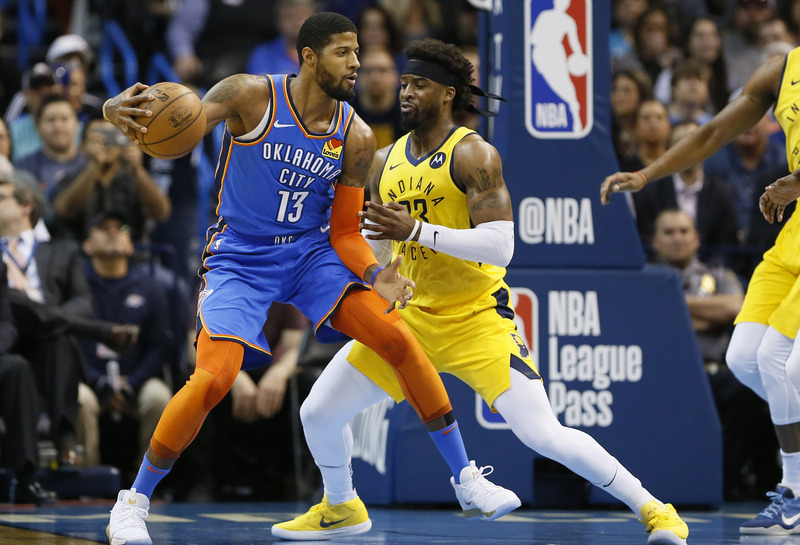 The Pacers host prodigal PG and OKC on Thursday night at the Fieldhouse. 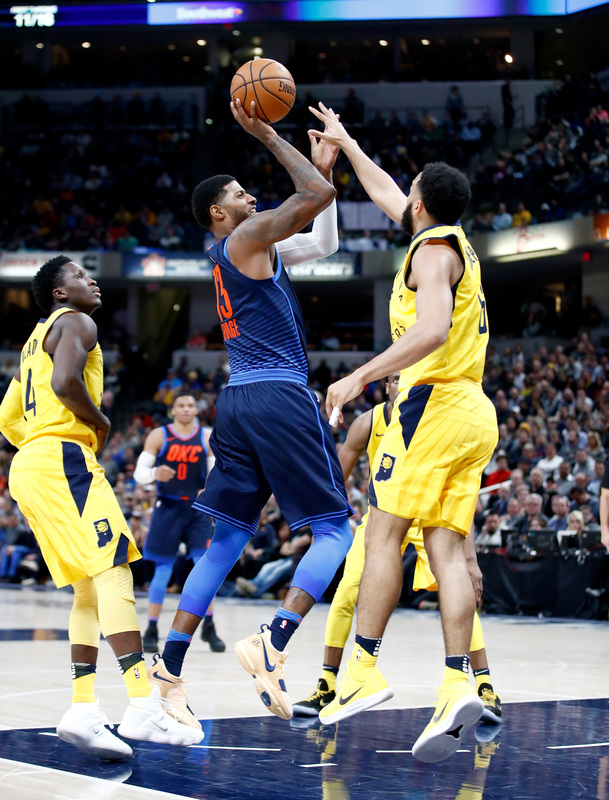 Pacers Links: Will Thad Young wear PGs when playing Paul George? 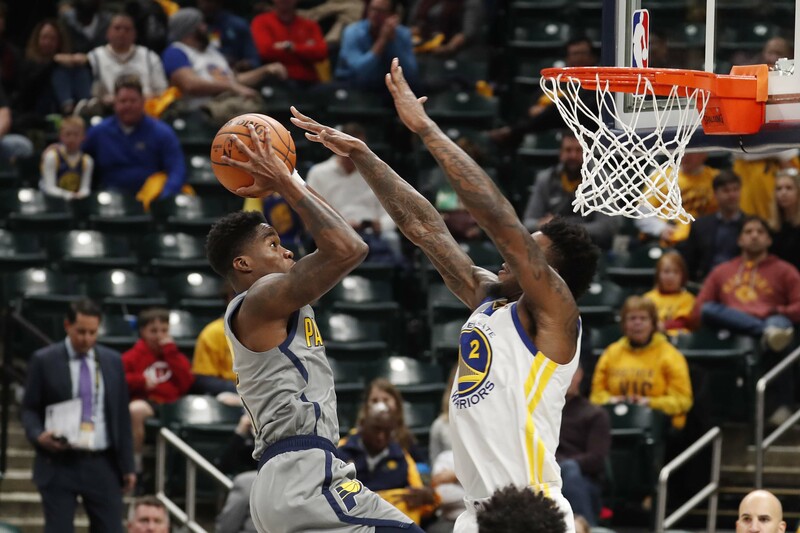 The Pacers forward prefers not to wear a player’s shoe when he faces him on the court, but those PG’s are comfy.